Creating custom decals used to be expensive and time consuming before the age of digital printing. Today, custom business decals and graphics can be created affordably in almost any size, shape, and number you can imagine. And they’re more user-friendly than ever. 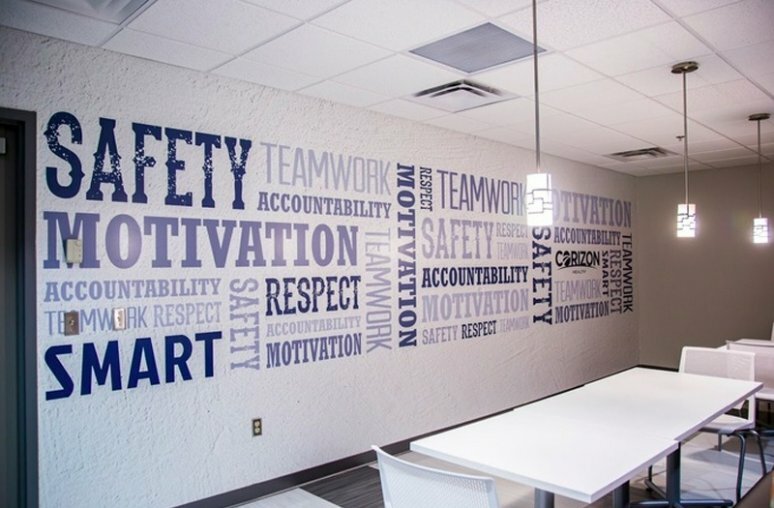 It’s super easy to use decals as a part of your company’s interior design to brighten workspaces, promote products, and inform customers. Decals can be utilized on more than just windows. 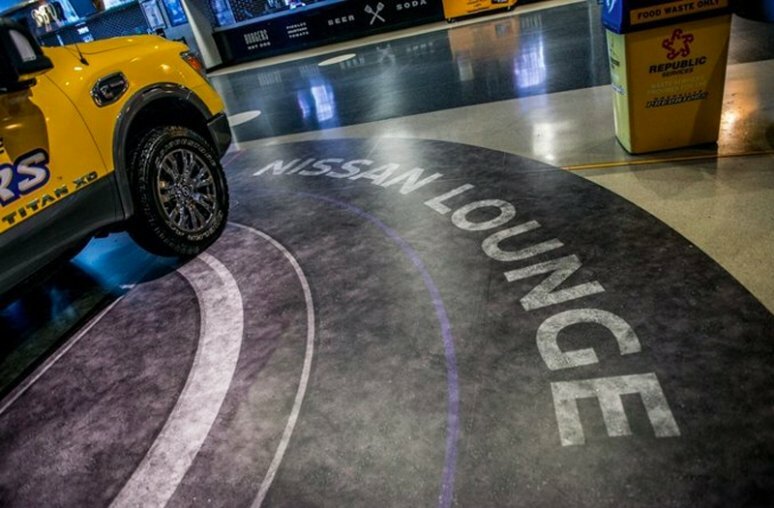 We can make your message stick to walls, sidewalks, floors, and even ceilings. 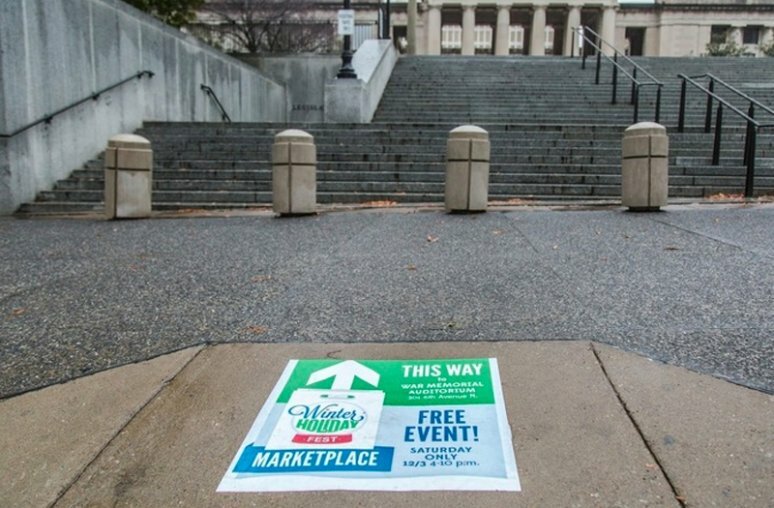 Sidewalk and floor decals are great wayfinding solutions, and they can be used to promote products in areas that customers aren’t used to seeing ads. Ceiling graphics are great for dentist offices, as they put a serene image like a river or garden scene overhead to give a patient something to focus on besides an uncomfortable procedure. Also, wall decals are popular for branding interior office spaces. Decals and other graphics can also extend your brand message throughout an office building. A monument sign outside begins the brand experience for visitors, but don’t let it stop there. Consider having a custom decal designed to place the company logo in the center of the conference room table. Have a confusing layout? Help guests find their way around with branded floor decals pointing the way to different departments. Create a wall decal with the company name, logo, and website and place it on a well-lit blank wall. This can become the go-to backdrop for company photo opportunities such as receiving an award or a new client announcement. Don’t be afraid to get creative with decals as well. Instead of just showing glamour shots of a new product, work with a designer to create a visual that shows the benefits of the product. For example, create a graphic for the wall above a food processor product display showing neatly cut, delicious fruits and vegetables. Have a sports-themed restaurant? Create custom window films featuring life-size images of the city’s NFL, NBA or MLB stars. Work with a professional visual communications company to design a full-wall decal of a beach scene in the office break room to provide a relaxing place for employees to take five. Whether on windows, floors or ceilings, graphics can make otherwise unremarkable surfaces visually interesting. Use them to extend your brand message in unexpected ways to engage patients, customers, and visitors. We’re here to help you think of smart uses of custom decals. Simply contact us, and we’ll get to work!